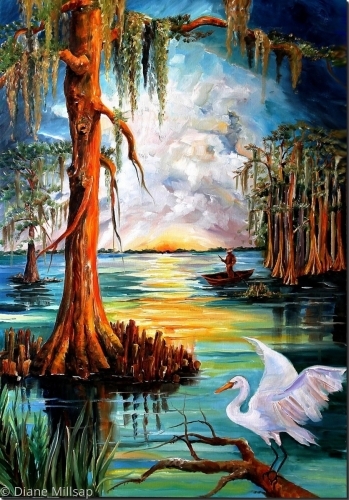 Sample of a recent commission: The swamps and bayous of Louisiana are mysterious and beautiful. Home to wildlife and home to old legends too. They capture our imagination! 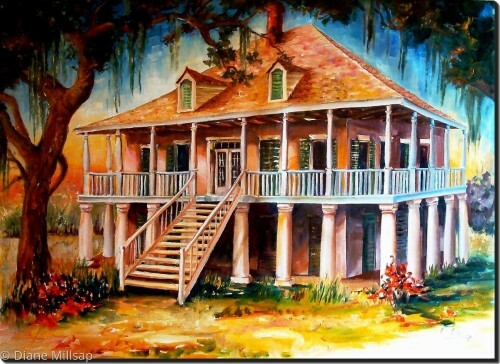 SOLD - An old plantation home is framed by dripping Spanish moss and set against a brilliant azure sky in this large original oil painting. It is painted on a deep gallery wrapped canvas and is ready to hang. Sample of a Commissioned Original. 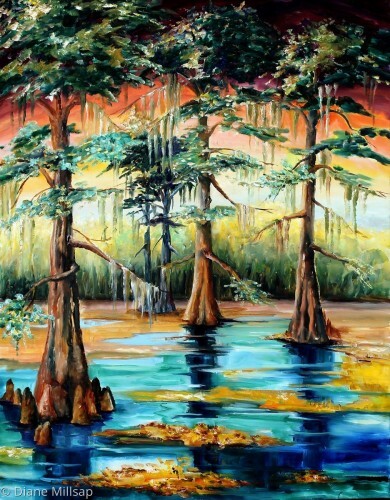 This large original oil captures the unique beauty of Louisiana's bayous. 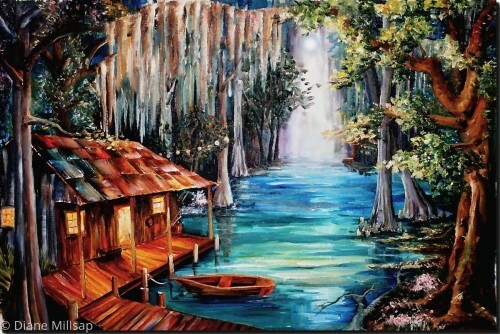 Please contact me for information about ordering an original oil painting.